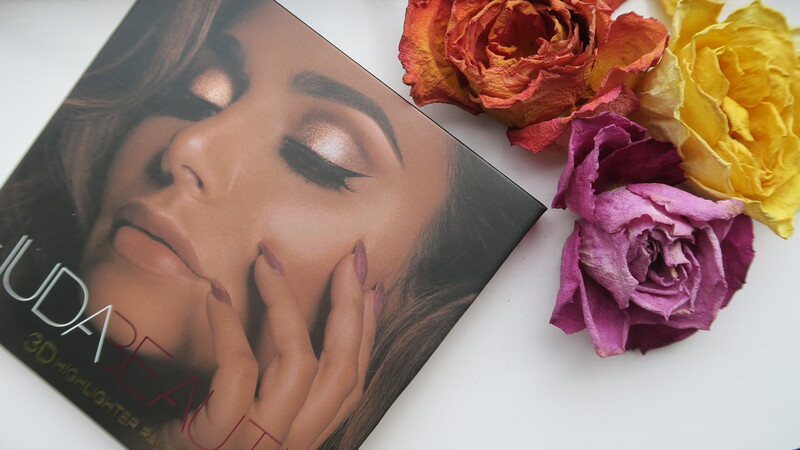 Today I have a short review of the Huda Beauty // Golden Sands 3D Highlighter Palette – £40. My lovely friend gifted me the following highlighter for my birthday (back in November), so I’ve had a good couple of months at using this. I own quite a few highlighters so I wasn’t expecting to add any more on to my collection but now that I have it in my hands, I am impressed with the quality, pigmentation and durability! Firstly the packaging – specifically the holographic art on her face is very pretty and innovative – I can really appreciate the graphics, artwork and promotion that went into the launch of this product although I’m not a fan of the cardboard packaging because a) it feels and looks cheap b) it gets dirty so again ends up looking tacky. For such an expensive product I do wish it was better presented, although on the flip side you are offered a lot of product (approx 4 x 10g). Despite the packaging itself, the actual product is incredibly lovely! I was thoroughly impressed and happy with the colour payoff and turnout. The product looks a bit daunting and gaudy to work with but once applied (softly!) it’s very nice on the skin. 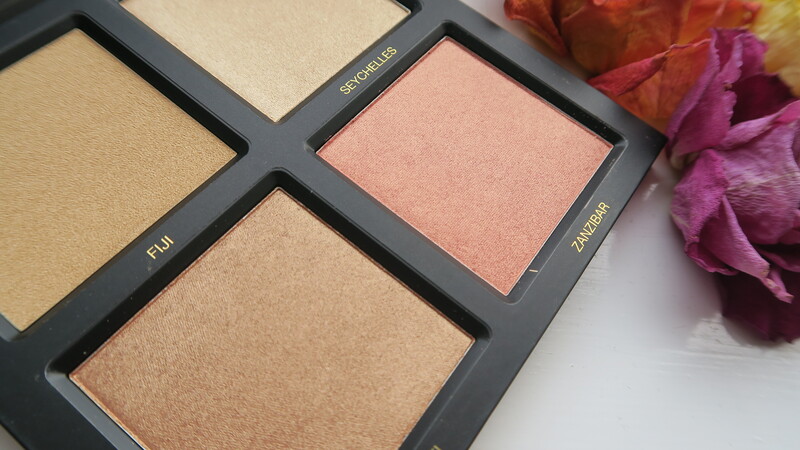 It doesn’t just sit there, the product sinks in and melts into the skin nicely – so gives a melted glow as opposed to that awful powdered look. I’ve worn the highlighter in these images [here], [here] and [here] – feel free to follow me on Instagram whilst you’re there ;-). 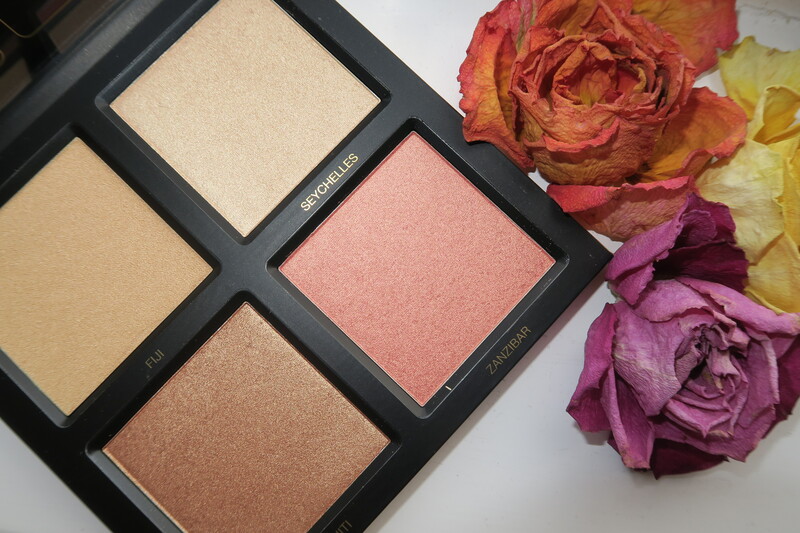 I love layering the highlighters especially ‘Seychelles’ and ‘Zanzibar’ – as seen in the last two images linked. The pigmentation is extremely strong so I do like to use these highlighters with a soft hand – so just know they are buildable. This product is definitely part of my glam makeup kit – not one I could brush off for an everyday look as I do like to keep that fresh and minimal. In terms of durability just know that it lasts and you will be shimmering from dusk to dawn! I hope you enjoyed this post, if there’s anything else you’d like to see from me, please do let me know! It’s really lovely to use during summer and for party events! After using this product I’m definitely interested in her other products!